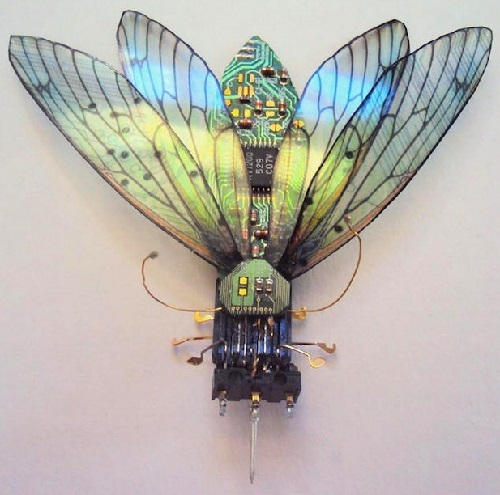 British artist Julie Alice Chappell turns the old printed circuit boards into the light-winged fine butterflies, moths, and flies. It looks like a fairy-tale transformation of Cinderella into a princess. 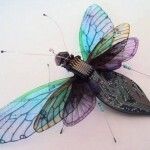 Techno-Entomology art, in particular, tiny insects from waste made by Julia are delicate and airy. 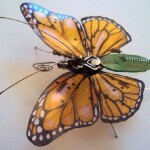 It seems that her butterfly is about to wave its wings and fly to a blossoming lawn. 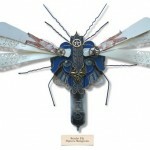 Noteworthy is Julie’s Art project called «Computer Component Bugs». 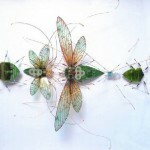 The word «bug» has a double meaning – “bug” and “bug in a computer program.” Meanwhile, creating her works the artist wanted to draw attention to the problem of waste disposal, and generally to environmental protection. 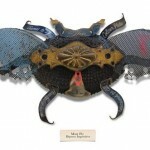 Another art project related to insects and disposal of unnecessary things, came up with another resident of the UK Mark Oliver. He is a master of all kinds of rubbish little bugs that look like tiny robots. 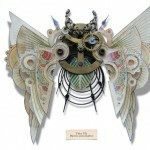 As a material he uses broken toys, broken glass, electrical parts, the pages of old books. 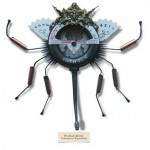 Describing his creations, master emphasizes their appearance suggests adaptation to life in a technological civilization. 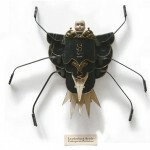 A series of works called “The Litter bug”. 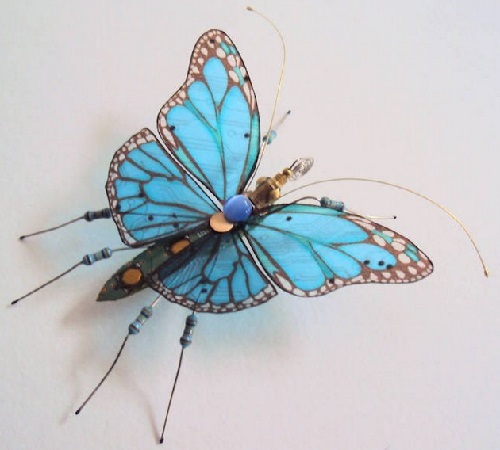 Each insect received a new own determination that often reflects the types of materials from which they are made. 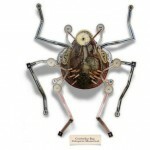 So, Conductor Bug (Beetle conductor) consists of old metal gears and copper conductors. 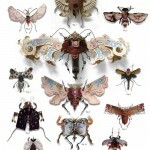 Torn page of the old encyclopedias were the basis for the body and wings of Reference Moth.